The library as an institution has played a crucial role in defining what is to be considered as knowledge, culture and identity in our society. The precondition for a literary work to be included in a public library is, however, that it has been published. 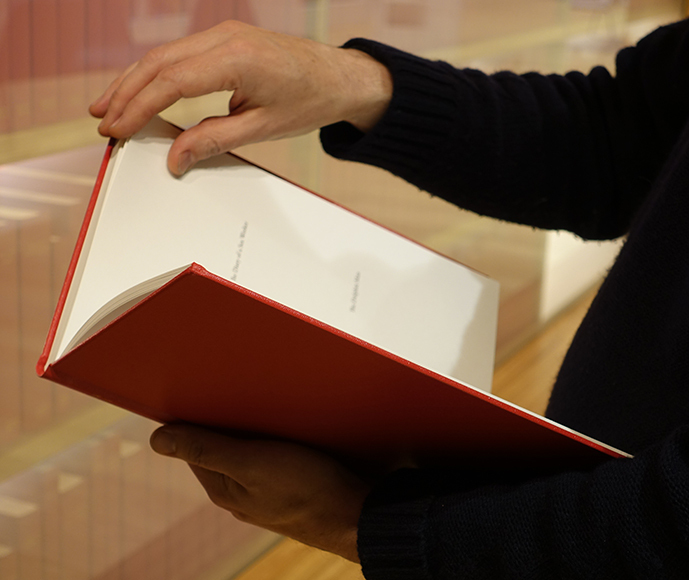 * Consequently, countless works have been rejected since the creation of the first public collection of books. Most rejections of manuscripts are justified by the judgement that the literary quality or intellectual level is not sufficiently high. But history also shows examples of works that were not accepted as they were regarded as being too uncommercial for the literary market, too radical for the aesthetics and thinking of the time or too provocative for the established authorities and moral order. * Even though a writer today can self-publish and print a book or make it available online, it is still, with a few exceptions, much harder for a book to reach a wider audience without the support of an established publisher. 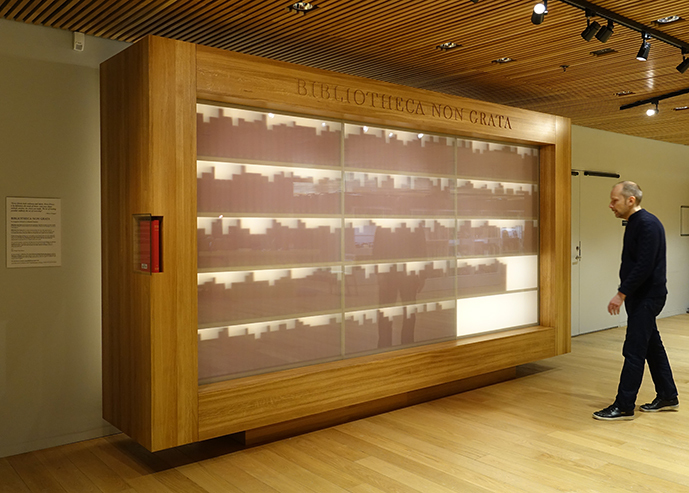 Bibliotheca Non Grata, is a public art project where the perspective is shifted from the literature that has been published and included in public libraries and thus constitutes society's official self-image, to the literary works which for various reasons have been rejected throughout history and thus do not exist in the public eye. The project raises questions about what kind of stories, experiences and ideas which never have found their way to readers and thr public consciousness and why? And the other way around: How would history be different if some of the world’s most influential books never would have been published? 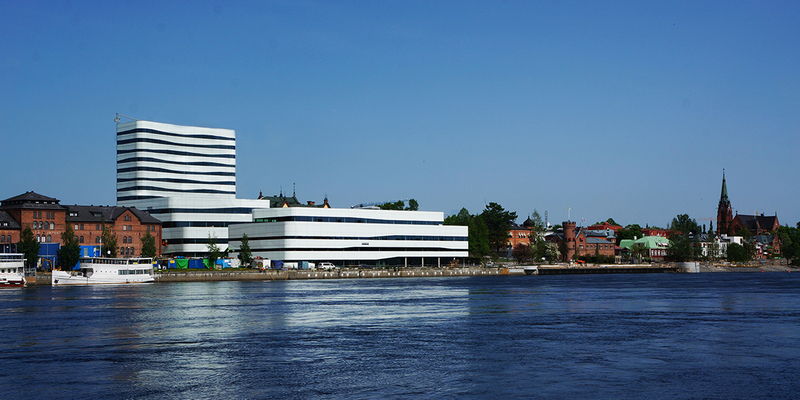 The cultural centre Väven (”The Weave”) in Umeå, designed by the internationally acclaimed architect’s offices Snøhetta and White. (Photo: Tove Skotare). Bibliotheca Non Grata is a public art project in collaboration with the architect Igor Isaksson, commissioned by the city of Umeå in memory of the journalist, activist and author Stieg Larsson’s work for democracy and free speech as well as against discrimination and racism. The library is placed in Umeå City Library in the newly constructed and the Kasper Salin architecture prize awarded cultural centre Väven (”The Weave”) in Umeå. 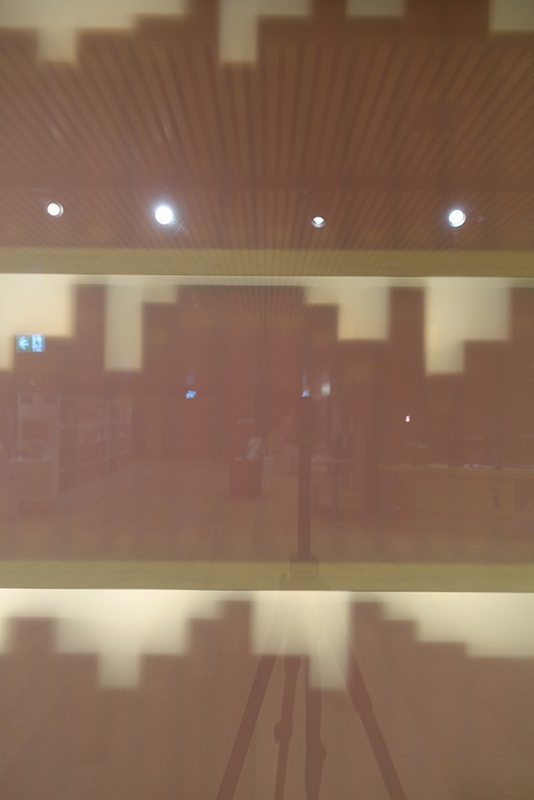 When visitors to Umeå city library in Väven cultural centre approach Bibliotheca Non Grata, which is placed at the entrance to the library, hundreds of dark outlines of something hidden behind frosted glass can be glimpsed. 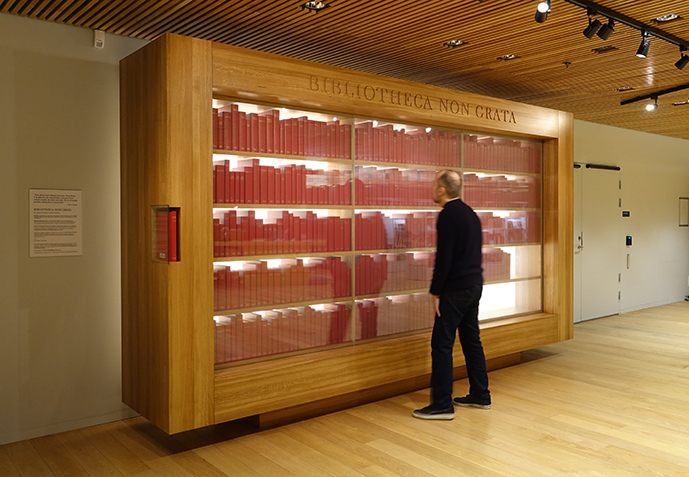 When visitors are about 1 metre away from Bibliotheca Non Grata, the glass section transitions from frosted to clear, so that what was previously hidden behind the glass now appears as hardbound books with titles of rejected works printed on the spines. 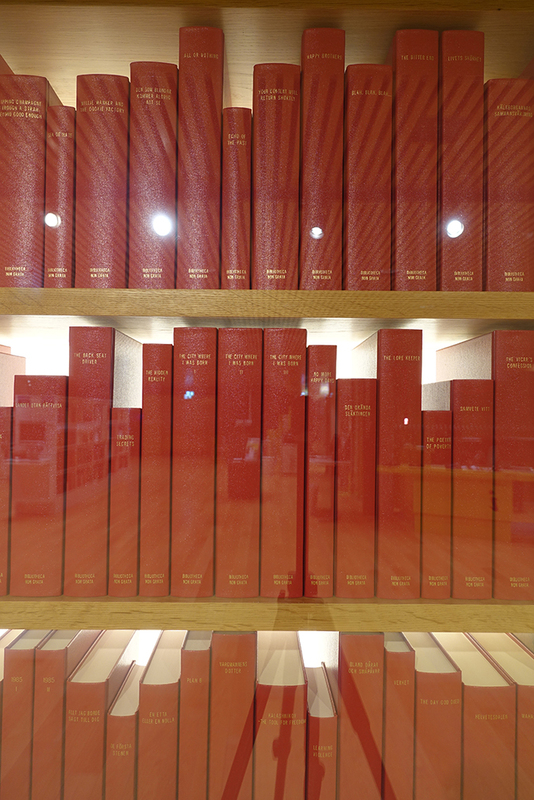 For 15 seconds, the titles on the spines can be read until the glass turns frosted and the content of Bibliotheca Non Grata becomes once again inaccessible. 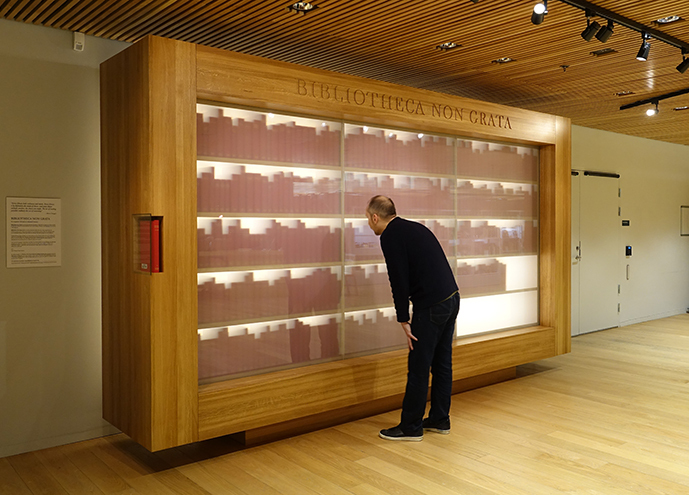 The refused books of Bibliotheca Non Grata are binded at the same book bindery which binds books for the majority of the Swedish Public Libraries. Video on how the glass section transitions from frosted to clear. 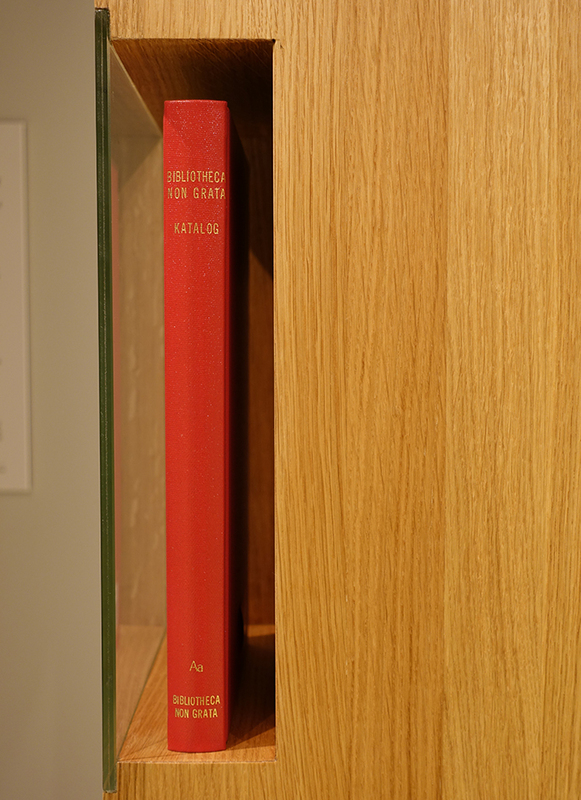 The titles of rejected book manuscripts are catalogued in a hardbound catalogue, which is placed in the corner of the bookshelf, and is available to borrow in the same way as Umeå library's other book stock available to the public. The titles of rejected books are by both established and unestablished authors which have been collected through a one year long world-wide social media campaign. Bibliotheca Non Grata was referred to by the Swedish Minister for Culture and Democracy, Alice Bah Kuhnke, in the opening of her speech at Swedish PEN's Tucholsky award for freedom of speech on the 15th of November 2015. – Swedish Minister for Culture and Democracy, Alice Bah Kuhnke, in her speech at Swedish PEN's Tucholsky award for freedom of speech on the 15th of November 2015.